Indie band Superorganism unveiled a new version of their track “Night Time” from PC Music producer Danny L. Harle in July as the group, fronted by Japanese singer Orono Noguchi, prepares for an appearance at Fuji Rock Festival in Japan on Saturday before embarking on an extensive U.S. and European tour from August. “All of us are huge (wink wink) fans of Danny and his futuristic pop production skills, particularly on his track ‘Me4U,’” says Superorganism frontwoman Orono Noguchi. Noguchi, who moved from Japan to Maine in the U.S. at the age of 14, first came across the band through YouTube, eventually meeting some of the members when they were performing as The Eversons at show in Japan in 2015. It is said that since then Noguchi and the band members exchanged their contact social media accounts and started sharing music and internet memes. Though The Eversons and Noguchi remained friends, the band members did not come to realize Noguchi’s singing skills until much later when they asked her to try out some vocals on their demos and were surprised by how things worked out. A new band, “Superorganism,” was formed. After their first single, "Something For Your M.I.N.D.," became the biggest hit in the indie world, the group finally accepted Noguchi officially after she had graduated from high school. Superorganism subsequently toured internationally with unexpectedly high popularity in Europe, America and Asia. 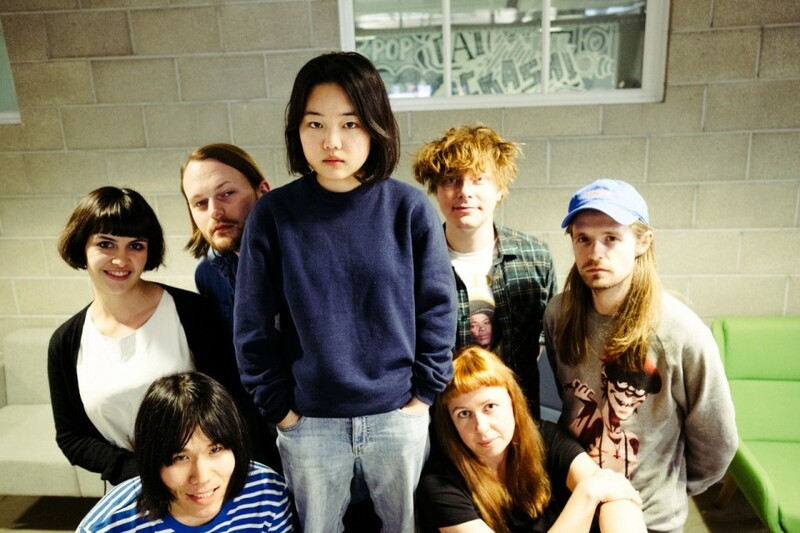 Fresh from a string of dates in Europe and currently in Australia, Superorganism will perform at the Fuji Rock Festival in Niigata on Saturday before making their return to North America to play Lollapalooza in August and a continent-wide headline run in September with stops including Chicago, New York, Boston, Philadelphia, Austin, Los Angeles and San Francisco. The band’s self-titled debut album, released in March, continues to receive critical acclaim and has been named to Best Albums of 2018 (so far) lists from Rolling Stone and Consequence of Sound.